KD2 SERIES offers a combination of sophisticated features and familiar operation. 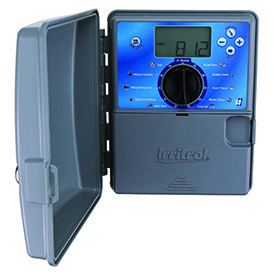 Its automatic, semi-automatic and manual operations, a wide range of watering intervals, and the ability to make percentage changes to watering duration seasonally provides excellent scheduling flexibility. Electrical surge protection, self-diagnostic function, an electronic circuit breaker, and a five-year warranty provide peace-of-mind. In addition, non-volatile and built-in memory maintain program information, date and time during power loss. KD2 SERIES is compatible with CLIMATE LOGIC® Weather Sensing System to adjust run time based on site specific weather conditions and SMRT Logic® for control using a mobile or home connected device.